As a Soloist and Chamber musician, she has toured and performed in many countries, including the USA, Canada, France, Italy, Sweden and Slovenia, and in England, concertos at the Birmingham Symphony Hall and Imperial College, London. As a duo, both with instrumentalists and singers, she has performed at the Royal Albert Hall, Barbican Hall, Cadogan Hall, Wigmore Hall (with cellist Mats Lindström), Bridgewater Hall, Wales Millennium Centre, St. David’s Hall, Cardiff, and the Machnylleth, Oxford and Leeds Lieder Festivals. Annabel has recorded for Universal records with the “Scottish Tenor”, whose album was nominated for a Classical Brit Award and is regularly played on Classic FM. Twice the accompanist for the Festival of Welsh Male choirs, her performances at the Royal Albert Hall were recorded by Sain and have been aired on S4C. 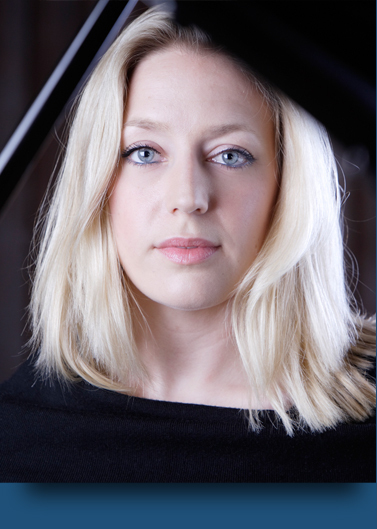 She is also a film session pianist, having recorded at Abbey Road, the music for the film “Awake”, the BBC Jane Austen series “Emma”, “The Secret Diaries of Miss Anne Lister” and most recently she has appeared on both Blue Peter and “The Rob Brydon Show”. Her extensive teaching and accompanying experience includes being the Course Director of the Junior Pro Corda Intenational Chamber Music Academy, adjudicating at the National Chamber Music for Schools competition and also for the Pianoforte class at the Watford Music Festival. 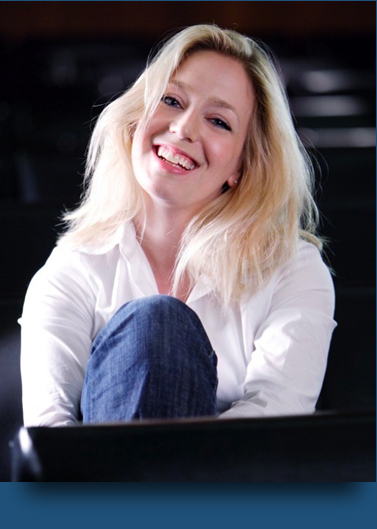 In addition to being an Associated Board Music examiner, Annabel is extremely committed to outreach projects, having been a member of the “Live Music Now!” and “Lost Chord” schemes and most recently she has performed a number of workshops and concerts, introducing Lieder to children as part of the Machynlleth, Oxford and Leeds Lieder festivals. Annabel studied at the Guildhall School of Music and Drama with Senior professor Joan Havill, and also at the Conservatoire National Supérieur de Musique et Danse, Paris. She was the recipient of numerous scholarships including the MBF award for accompanists, and an English Speaking Union scholarship to study at the Ravel Académie, Franz Schubert Institute, Fondations de Royaumont and Académie Villecroze, France. She is also a qualified Vinyasa Flow Yoga Teacher.